Pirate games are always cool as they let you play as the most fearsome people out in the sea, but what about the people that shake and pee their pants because of those pirates? Those people don’t really sound cooler than those scary pirates, so it wouldn’t really feel cool to play them – but here’s Sea Loot to prove that playing as the ordinary people running from pirates is even better! 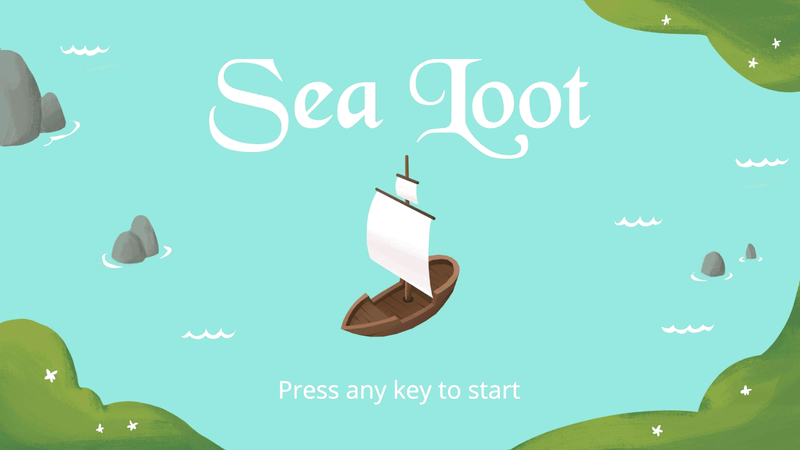 Sea Loot lets you play as a little ship captained by a regular Joe that needs to ship items that the islands nearby need. Each island will need a different item each time you deliver one to them so you’ll need to keep on going. The main goal of the game is to keep delivering items until you get caught by the pirates chasing you. First things first, you’ll play by shipping items to one small island. You’ll know what they need by checking a thought bubble above that island – they’ll have an item in it. Once you know the item, you’ll need to sail around to ocean to find one of the islands with a treasure chest on it. You’ll get the item and sail back. You’ll keep doing this until you expand further and have more islands as customers. Now that there are more islands, you’ll need to learn one more important thing about shipping – you can carry more than 1 item at a time, so stockpiling them before bringing them back can be done. Additionally, pirates will be placed in the game to stop you. They’ll fire cannons at you which you’ll need to avoid. Getting hit 3 times will result in a game over. By the way, the game is controlled entirely by your mouse. Just click to where you’d like to go, and your ship will sail there. You can also just hold the left mouse button to keep on sailing and let your ship follow your cursor. This entry was posted in Arcade, Shooting and tagged pirates, sailing, sea. Bookmark the permalink.